Glamorgan captain Alviro Peterson remains confident of reaching the quarter-finals of the FL t20, despite a fourth successive defeat. Petersen top-scored at Canterbury with 33 from 23 deliveries but could not stop his side slipping to Sunday's five-wicket defeat by Kent. The loss means Glamorgan must now win their remaining five games to stand any chance of reaching the quarter-finals. "There's still a chance to win all five," said 30-year-old Petersen. "We'll just have to take it one game at a time and who knows where we'll finish." Glamorgan posted 138-6 from their 20 overs against Kent. The game looked to be slipping away from the home side but a 57-run partnership between Sam Northeast and Geraint Jones saw them reach 142-5 with four balls to spare. Glamorgan have managed only three wins from their 10 FL t20 games and Petersen is urging his side to be more consistent. "It's difficult, we've had a few tight games," added the South African Test opener. "I wouldn't even class this as a tight game. During the middle our spinners were great again but obviously towards the end we couldn't pull it together. "But, if you look at the game as a whole, probably in the middle period when we were batting we didn't get enough runs and we lost some wickets as well." Glamorgan now have a slim chance of reaching the quarter-finals of the FL t20, but Petersen maintains that his side still have a point to prove. "It shouldn't be difficult to motivate guys to play Twenty20 cricket and also playing for your county," he said. "I'm sure the guys will want to go out there and prove a point. "It's important that we don't just fall by the wayside. "It's important that we stick to every game, every discipline and still play with pride." Glamorgan hope to end their four-game losing run when they take on high-flying Somerset in Cardiff on Tuesday. Bowler Graham Wagg and Australian batsman Mark Cosgrove are doubts. Cosgrove injured himself while hitting a six in the defeat against Kent, while Wagg was unable to bowl. Somerset, who are second in the South Group, won by seven wickets when the sides met in Taunton last month. 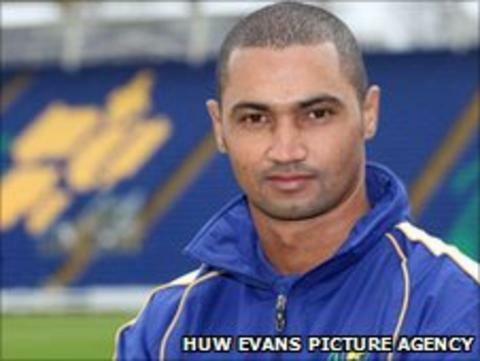 Glamorgan coach Matthew Mott is also hopeful that his team can progress to the knock-out stages. "I think there's still plenty to play for, regardless of whether we can make the finals or not," he said. "From the outset we set out to improve and won a couple of games here and there, but it would be nice to get on some sort of roll and finish the season well. "You never know, I'm no mathematician, but we might be able to sneak in there somehow. "We've just got to try and win every game that we play in."